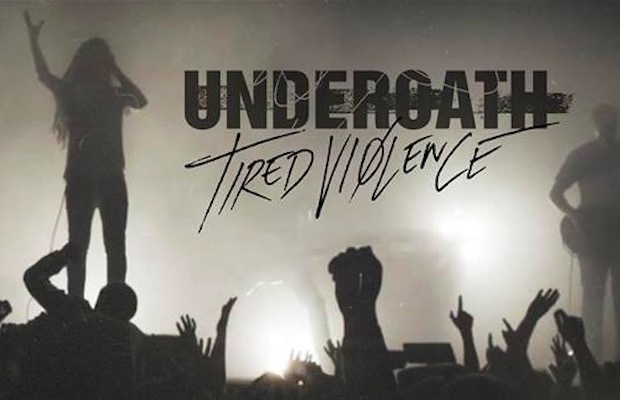 Underoath have released an extended trailer for their farewell documentary, Tired Violence. The emotional trailer features audio clips from band members reflecting on Underoath’s 16-year career and video clips from their last show in January 2013 at Jannus Landing in St. Petersburg, Florida. The trailer highlights tensions within the band and the struggle to overcome those tensions while remaining a collective unit of musicians. It’s not an easy one to watch, especially for devout Underoath fans. Pre-orders to help fund the documentary are available here.